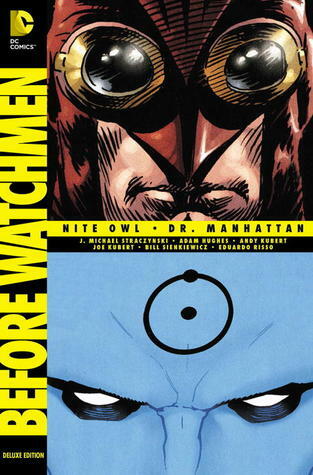 I think this one I’ve read through the fastest out of the Before Watchmen series that I’ve read so far. I’m not really sure why since it’s not my favorite (probably second favorite) but probably because this one has been the most visually appealing so far. It has beautiful illustrations with tons of color and they just pop right off the page. Despite that, I liked Nite Owl’s prequel, and Dr. Manhattan’s took an interesting take on his character, focusing more on a what could have been sort of scenario if Jon hadn’t walked into the intrinsic field lab area. Nite Owl and Dr. Manhattan are also not my favorite characters by any means and I end up feeling the most sorry for them in the original story, but I liked their stories all the same. I can’t wait to start reading the last one of these prequel’s which will have Rorschach’s story in it.